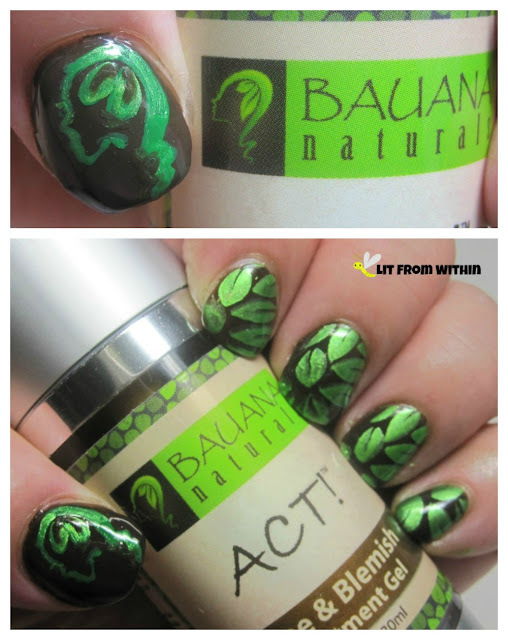 Bauana Naturals ACT! Acne & Blemish Treatment Gel is 98% naturally derived, 72% organic treatment that is cruelty-free, vegan-friendly, and made in the USA. 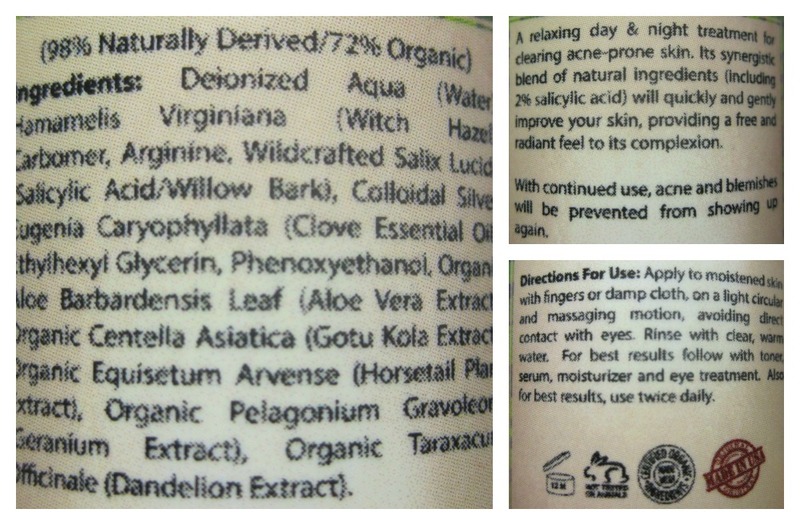 Normally, when I try a new product, I read all the directions and information first. I'm sure I did that in this case, too, but for some reason, I missed the part where this treatment is meant to be rinsed off after application. So, probably for the first week I used it, I just left it on and followed with my other serums and moisturizers. Nothing bad happened, but I don't have particularly sensitive skin, either. For some reason, I have a mental block about rinsing off anything that's not a cleanser or a mask. Once I realized I needed to rinse, it got harder to work reliably into my routine. Is that weird? The treatment is a gel - light, smooth, and with a slight orange tint that smells lightly of the clove oil it contains. Clove oil can be really great for killing acne-causing bacteria, but it can also be a skin irritant. The treatment also contains Colloidal Silver, an anti-bacterial, and Salicylic acid, which is a great blemish treatment, especially if used consistently over time. Witch Hazel is another ingredient that is known for clearing problem skin, and is often used as an astringent toner. Healing ingredients include Aloe Vera and Glycerin, which add moisture back into the skin, too. 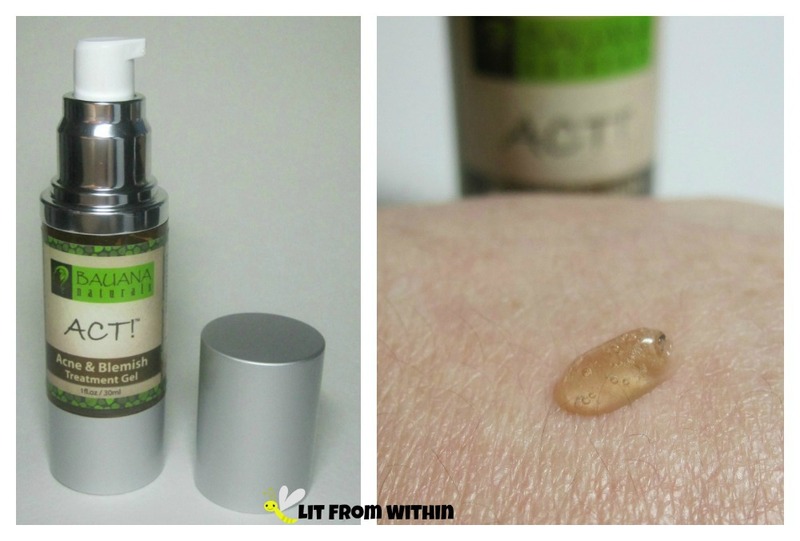 Not only did this treatment clear my skin up quickly, I also liked that there were ingredients that worked to prevent blemishes from reoccurring. Too much of my focus is often on treating the blemishes that I have, rather than the maintenance of blemish-free skin. I was really inspired by the packaging for this nailart! The base is Butter London Lust or Must? and the leaves are stamped with Hit The Bottle Absinthe Minded and my BP-L008 plate. The logo is free-handed with Butter London Sozzled and Absinthe Minded. I don't know why I can apply serums a-plenty, but have trouble getting into the habit of rinsing off treatments. This treatment did work well for me, when I applied it. It did work to clear my skin, especially of the little whiteheads that make my skin bumpy and red. This treatment is currently selling for $36 on Amazon, but I found that they were running an promotion on their Facebook page (not sure how long it's good for.) Here's the promotion page that gives a code for an additional 50% off (making the price only $18!) and some more information about their ACT! treatment gel. If you're not completely satisfied, they offer a 180-day money-back guarantee.